While at the farm supply store today, I spied a display of plant kits of various types for children. All with whimsical themes. 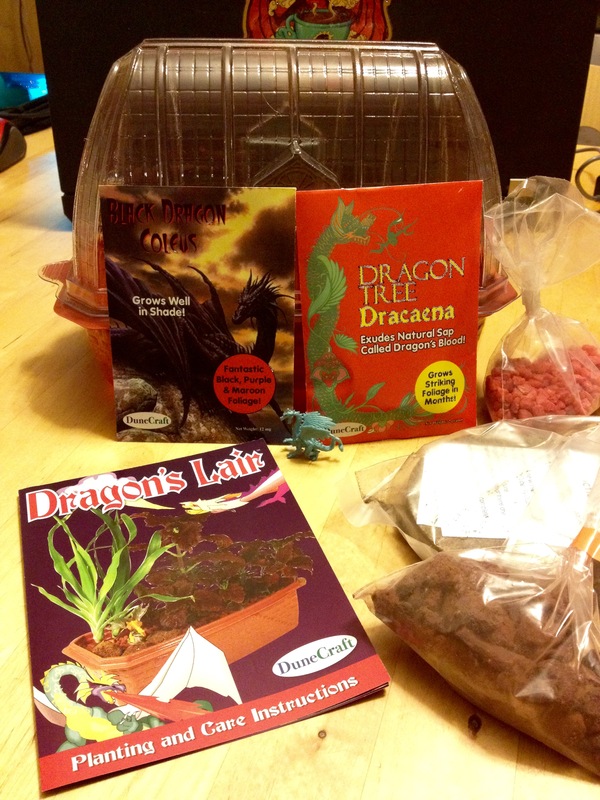 Some for the Princess, some with carnivorous plants (this was a hydroponic kit) Some with easy to grow veggies, herbs and flowers but the one that caught my eye (after the carnivorous one) was the Dragon’s Lair. 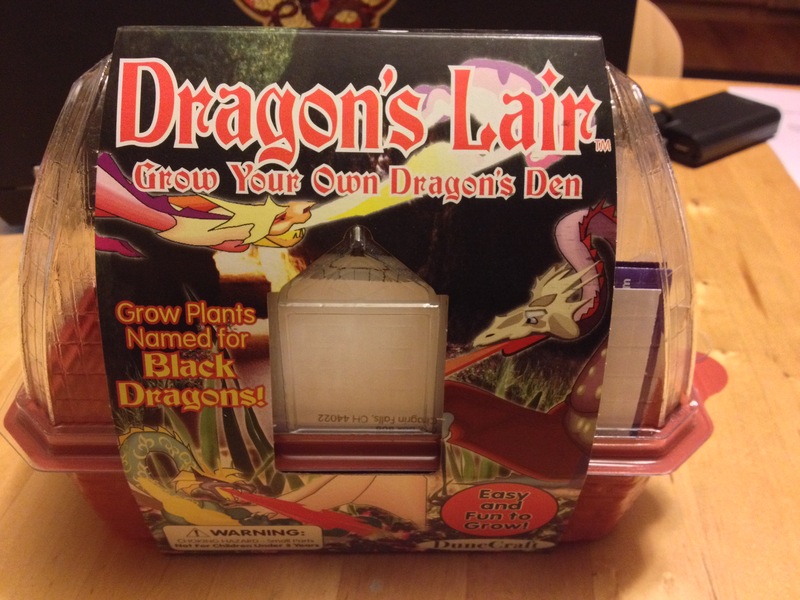 It claims that one can “Grow your Own Dragon’s Den” and “Grow plants named for Black Dragons”. 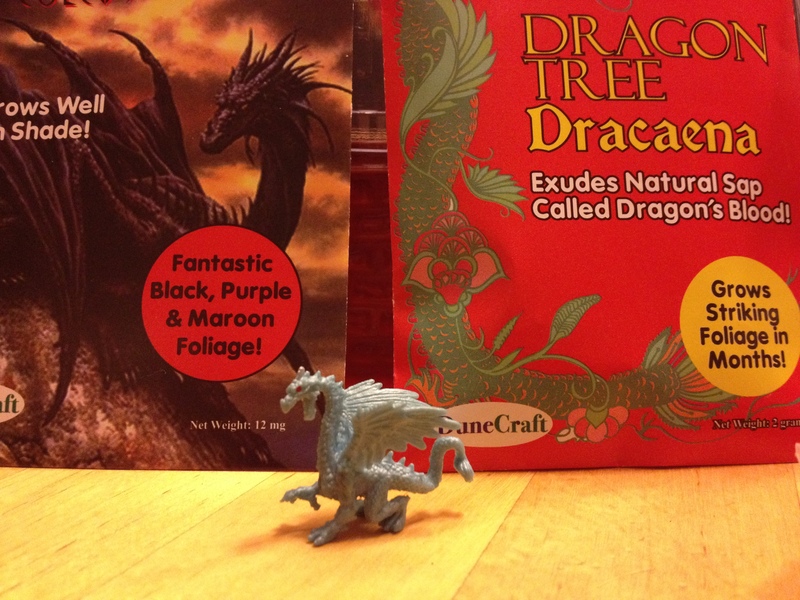 It even has dragons breathing fire on the cover. I was intrigued. 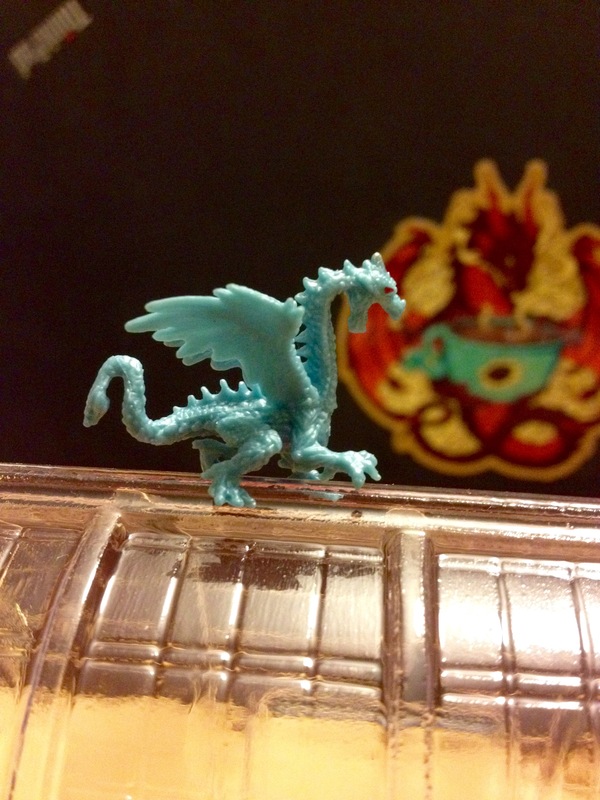 Being fond of blue dragons and all I thought hmmm, maybe. 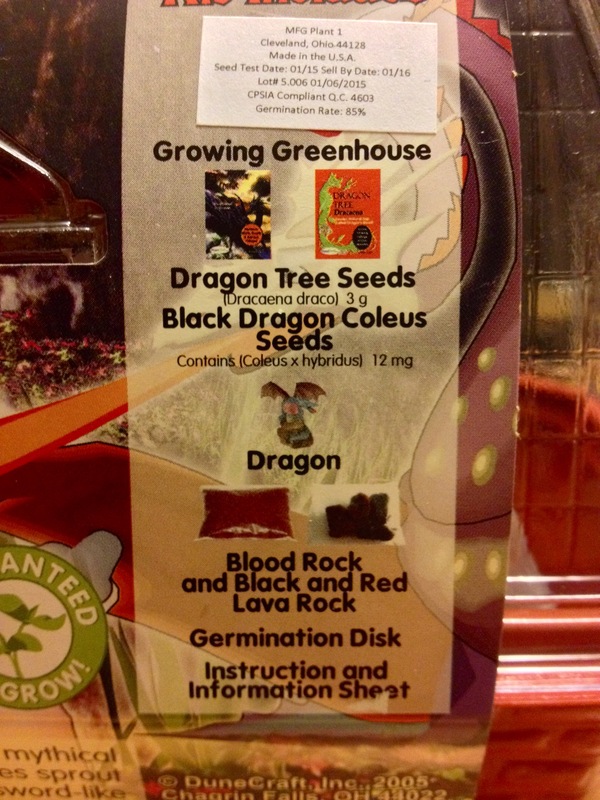 I also read on the box ” Easy and Fun to Grow” Ages 4+. 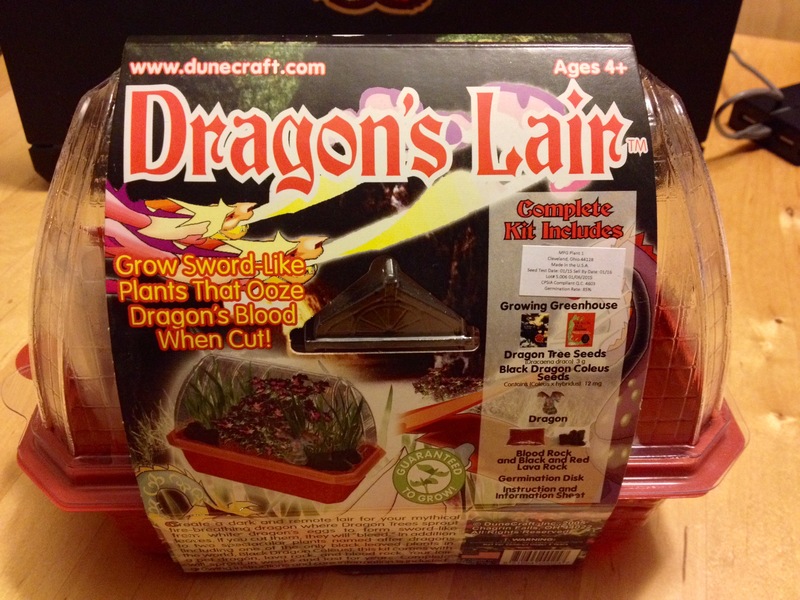 Well I qualified for the age part and fun and easy sounded good too, so I nabbed a Dragon’s Lair kit and tried to smooth over my son’s dismay at not buying baby chicks with the offer of candy. (It worked) Whew! Not ready to go there again quite yet.